BlissCo is a vertically integrated distribution focused cannabis cultivation company that earned a Access to Cannabis for Medical Purposes Regulation (ACMPR) License in March 2018. BlissCo is licensed to cultivate cannabis plants, prepare dried cannabis and cannabis oil. At the appropriate time we will apply for a license to sell both dried cannabis and cannabis oil, from our own production and with premium dried, sun grown cannabis sourced from our supply agreement with 7Acres, a wholly-owned subsidiary of The Supreme Cannabis Company in Ontario, Canada. 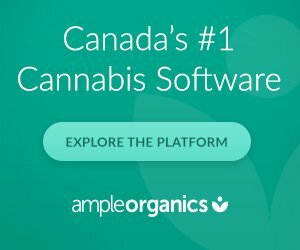 With the ACMPR license to Produce and Sell, BlissCo will begin to cultivate, package, distribute and sell medicinal marijuana to approved patients directly and work closely with their health care providers. BlissCo was founded in 2013 and with the assistance a team of advisors (including medical and naturopathic doctors), has engaged with the medical community to understand how to contribute to improved patient health with medicinal cannabis products. A large part of this revolves around how to securely integrate and collaborate with the healthcare system. Our first state of the art urban facility located in Metro Vancouver will be a hub for cultivation, processing, packaging and distribution.